Historical scholarship is now revealing a much more diverse picture of early America and its place as part of a broader, connected trans-atlantic world. One little explored aspect of this is the presence of believers belonging to the “Greek church” and in particular their relationships with many prominent cultural and political figures of the era, including some of the Founding Fathers of the United States. In the 18th century “the Greek church” was the most commonly used term to describe the Christian churches that were not either under the authority of the Pope of Rome or that had come into existence by virtue of the sixteenth-century Protestant reformation. The term “Greek church” did not have an ethnic connotation as it was applied equally to its adherents wherever they lived in Russia, Greece, the near East, and elsewhere. All donations made to ACPL are tax deductible according toInternal Revenue Code Section 501c3. Checks can be made payable to “ACPL” or you may make donations via PayPal on our Projects pages. Please visit our Board of Directors page for more information about the Associates. r. Thomas Bray (1656-1730) was an Anglican clergyman who served as the Bishop of London’s representative in the Maryland colony at the turn of the 18th century. His missionary zeal led him to found both the Society for Promoting Christian Knowledge (SPCK) and the Society for the Propagation of the Gospel in Foreign Parts (SPG). He also actively promoted philanthropic projects as well as educational ones. As his health waned in 1723 he gathered around him a group of friends to continue and develop this aspect of his work. They became known as The Associates of Dr. Bray. 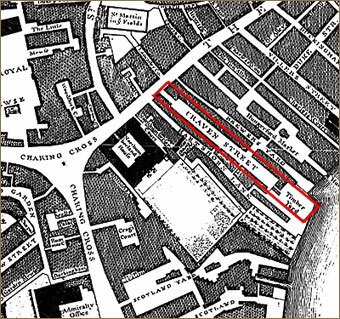 Probable location of Bray School, Williamsburg. In the mid-18th century the Associates became concerned with the education and general well-being of African-Americans in the British colonies. In 1757 they turned to the newly arrived London representative of the Pennsylvania colony, Benjamin Franklin, for advice on how to proceed. This led to the founding of a school in Philadelphia in late 1758 for some thirty African-American children. At the beginning of 1761 the Associates, again under Franklin’s advisement, agreed to establish three further schools in New York City, Newport, Rhode Island, and Williamsburg, Virginia. In a letter of June 27, 1763, Franklin recounts his visit to the school in Williamsburg and expresses the hope that it will make “sincere good Christians” of those who are studying there. In 1761 Franklin had become Chairman of the Associates and in May of that year he garnered financial support for their plans from several new supporters. Amongst these was Colonel Philip Ludwell III of Williamsburg, Virginia, who at that time was resident in London. The Associates of Colonel Philip Ludwell III pattern their name after the earlier Associates of Dr. Bray as they undertake the work of educating a broader audience as to the unique worldview and life of a Founding Father of the Greek Church in North America. 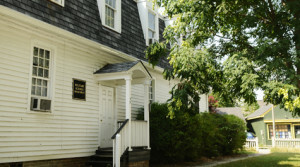 Photo courtesy the College of William & Mary. "I pray sincerely that every Blessing may attend you, wherever you are, and particularly that of Health. O that I could invent something to restore and establish yours! But we shall meet, I trust, in a better Country, and with better Constitutions, vigorous health and everlasting youth; and since t’will be an additional pleasure so great in itself and so easily afforded us, I am persuaded we shall know one another." - Excerpt of a 1763 letter to Philip Ludwell III from Benjamin Franklin, who at that time was on a visit to the American colonies from his duties in London as Pennsylvania's diplomat. 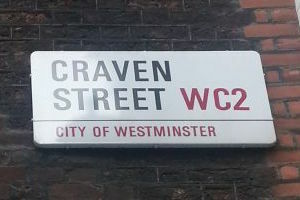 Ludwell and Franklin were neighbors on Craven Street in London, and instrumental in funding and organizing the charitable activities of the Associates of Dr. Bray to educate African-American children in the American colonies.